This series of questions will help prepare you for a more thorough and clear conversation with an internet marketing consultant or web developer. You need to know what you don’t know – so these are the most common questions I’ve answered over the past 10 years (some of them newer than others) to help get you up to speed. Web design is the process of physically creating a website. The graphics, the layout, the font formatting, all the little visual details that appear on the page. Almost anyone who can use a computer can design a website – for free. So why are there people making a living as web designers? Because not everyone wants to design their own website, they want someone with experience, who can make it look good and function well. Web development is the process of enabling all the bells and whistles websites rely on. Web developers are programmers and they create the software behind the website to make it run. Not all web designers are web developers and not all web developers are web designers. But some are both. Which one do you need? You need to learn a bit about Internet Marketing first, before you can answer that. Internet Marketing is a process, not a result. It is the process of continually improving your business using the internet – through better research, better planning, better goal setting, better measurement and seeing better results. How? Basically if you follow these three basic principles, you will be on the road to success: Have a great product or service (if you don’t, learn what will make it better, then do it) Have a website that really sells well (if you don’t, learn what will make it better, then do it) Send targeted traffic to your website (if you don’t, learn what will make it better, then do it) That’s really how simple it is, with a wide-angle lens. It’s important to step back and see the big picture before diving in. The first step is to know who you are (as a business), where you are, and where you want to go. From there Internet Marketing helps define your goals, create objectives you can measure and improve, and it shapes the decisions you make about everything related to the your business, the internet and improving your overall profitability. Internet marketing encompasses everything from web design to copywriting, to search engine optimization, to graphic design, to pay per click advertising, to newsletter distribution, to ezine advertising and so on. What is the most important element of a website? The answer to this also answers another question – what is Web Copywriting? Words, also known as copy, are the most important element on your website. Web copywriting is the process of writing the best words suited for your target audience and getting them to do what you want them to do: buy, call, email, buy again etc. In order to write the best words for your target audience, you really have to know your target audience. You have to understand that on the web they are seeking answers and solutions, they’re not looking to be sold. When they’ve found what they’re looking for and they come to trust it, they will buy. If they don’t find what they’re looking for in fewer than 10 seconds, they will leave your site, most likely forever. The main question the words on your website should answer is; What’s In It For Me? That will get their attention and that’s all they want to know, at first. Do you have a solution to my problem, do you have a way to make my life or business or relationships better? Later, they also want to know about you and why they should trust you and it takes the right words to do that effectively as well. Whether you have a huge product catalogue and need short copy or you sell only a few products or services and can benefit from long copy sales letters, you will improve your results dramatically by improving your website’s copy. Sales letters have been around for hundreds of years – no kidding. They are used in direct marketing and they speak to the target market personally and directly in a conversational tone. I’m quite sure you’ve gotten them in the mail and by now you’ve probably stumbled across a few on the web. I can’t think of a better way to sell a service or product to a specific market. Sales letters speak right to the heart of your target audience (the people who want what you have) – they step right into the mental conversation your visitor was having right before they landed on your sales letter page. They grab your visitors attention from the start and they are crafted in a formulaic manner that takes your reader from skeptic to almost sold by the time they’re done reading. Note, I say almost. Sales letters also employ ‘psychological devices’ to make them work better by answering every question and mental objection your prospect may have and by demonstrating true value. One such device is the Guarantee you will offer your customers. By stating your guarantee in your offer, you are reducing the risk for the prospect to do business with you and you answer a lot of doubts they may have about buying from you or using your service. Get the right people to your well crafted sales letter and you will make more sales. Guaranteed. You may have heard a lot about web traffic and that’s because it’s a critical component of a successful internet business. Website traffic is exactly what it sounds like – traffic coming in to your website. That is, people choosing to visit your website. Without constant traffic and a lot of it, you will be losing out on a lot of business. You will also not be getting the most out of your website investment itself. Think about it, if you create a website that converts 2.5% of its visitors into customers, why wouldn’t you try to get more visitors? Your website can handle it. The question is, can you handle the extra load? If it was profitable, and it should be, why wouldn’t you try to get more traffic? There are many different sources of website traffic, not all of them equal. Not every visitor to your website is even interested in what you have to say or offer. You want targeted and qualified traffic, which means you want visitors to your website who are actually interested and actively searching for what you have. The more qualified the traffic is, the better your conversion rate will be. A conversion rate is the measurement of how many of your visitors take the action that you want to measure. For instance, if you want to measure your sales conversion rate, you will track your visitors and your sales. If you had 100 visitors and 1 of them purchased your product, you have a conversion rate of 1%. It is vital in Internet Marketing to measure everything. Sometimes tiny changes in your copy, your offer, your graphics, or your layout can improve your conversion rate dramatically. If you don’t measure, you won’t know what changes improve your results and what changes hurt them. Track and measure everything. Now back to website traffic. The more interested your visitor is before s/he comes to your website, the better. But that’s where the magic of the web and search engines come into play. A very large percentage of your website visitors will come from search engines and we have two ways to capture them on each major search engine. We have organic search results and pay-per-click search results. Organic search engine results are the results to your searches/queries that don’t look like little advertisements. These results are obtained by search engine software, aka spiders or robots, that crawl the web from link to link and rank every page they see according to certain criteria in their software algorithm. There are ways to optimize your site and be prepared for these spiders. Having a search engine friendly website is the first step in ensuring a higher ranking. This is where search engine optimization (SEO) comes into play. Search engine optimization is an internet marketing activity with one major objective – to improve your website’s rankings in the organic search engine results for a variety of important keywords. It’s a very complex process but at the very least, you should make sure that your site is search engine friendly. A friendly site will make it easier for the spiders to crawl your site, visit each page, understand what each page is really about, and make it easier for the spider to rank it accordingly. Pay Per Click search results are the results that look like advertisements found on top and to the side of organic results. Website owners or their marketers bid a certain dollar amount for ad placement. The higher the bid, the higher the position (in most cases). The website owner pays each time someone clicks on their ad. In principle it’s simple, and it works well if you know what you’re doing. Pay Per Click advertising is the online embodiment of direct marketing. The real magic of pay per clicks is that the marketer (you, the website owner) is given a lot of control over a lot of variables. You get to choose what keywords or phrases call up your ad. You get to have different ads for different keywords. You get to choose what page they go to for each ad you have. You get to set your own prices. And you only pay when someone clicks on your ad. With that much control, you can guarantee yourself highly targeted website traffic. These are the kind of visitors you want – people who are actively searching for something specific, who are interested in what you offer and who consciously click on your ad. Then, you better make sure you give them what they want. A landing page is the page your visitor lands on. Whether you get them to click on a pay per click ad, or a link in an email marketing campaign, you control where they land. This is your chance to capture that visitor and do your best to get them to take the action you want them to take. If you sell a service and promote it online, you may not expect or want a visitor to purchase anything on your website. However, that doesn’t mean that you shouldn’t do your best to capture their contact information and start your relationship with them. In fact, it takes approximately 7 times for a prospect to be exposed to your message before they buy anything from you. That is why it’s very important to at least try to capture your visitors’ contact information so you can, with their permission, expose yourself to them over and over. That’s where email marketing comes into play. Email marketing is the process of promoting your business and building a relationship with prospects and increasing your business with existing customers. This is one of the best ways to build your business on the internet. As far as prospective customers go, you can create an incredible time saving system that weeds out tire-kickers and those customers who aren’t ready to buy just yet. One email marketing practice is to ask a prospect to sign up to a free course, or get a free guide in exchange for their email address. Inform them, teach them, prove yourself trustworthy and they will be so much more open to doing business with you. The ones who aren’t, will unsubscribe and you won’t be wasting any time or energy on them. By the way, for each campaign, you only have to do the work once, because you can automate the whole process. You can program a sequence of as many messages as you want and have them sent out automatically to the prospects email based on the schedule you set. 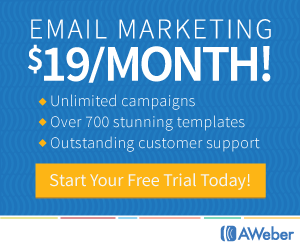 We do this with email marketing software called Autoresponders. Everyone who’s been in business a while knows that most of their business comes from existing customers. By staying in touch with your customers and building your relationship with them, you will make it that much easier for them to continue to do business with you. Send them interesting and helpful information from time to time and then send them a special offer once in a while. You’ll see conversion rates as high as 42% and except for preparing the offer, the landing page and the email, it didn’t cost a cent. If you’d like some help with your internet marketing, please visit WebMarketing.ca.